Are You a Faux Pro Dancer or The Real Deal? A few weeks ago I wrote an article entitled “Calling It Quits: Why Some Social Dancers Are Hanging Up Their Dance Shoes.” The majority of the feedback I received regarding the article focused upon only one topic; my criticism of a group of dancers I referred to as “Faux Professionals.” As this topic provoked many interesting comments from LDC readers and from members of my local dance community I thought it would be worthwhile to delve a bit deeper into this apparently divisive issue. Without a doubt, there are some truly exceptional dancers that can be found throughout the local, national, and international Latin dance community. These dancers may or may not make their living from dancing, but they are the people who own the dance floor by virtue of their amazing musicality, technique, swagger, and their ability to connect with whomever they dance. These folks are brightly shining diamonds gleaming amidst an ever-growing sea of dance floor cubic zirconia, otherwise known as Faux Professional Dancers. So–what exactly is my problem with Faux Professional Dancers, (hereafter referred to as “FPDs”), and why do I consider them The Walking Dead of the Latin social dance floor? 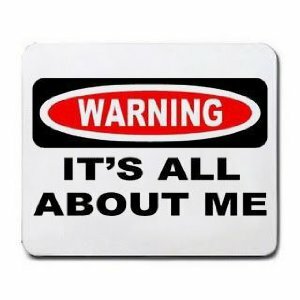 Well – while some FPDs are fairly harmless, others are undeniably toxic to the health and future of the Latin dance community. What is especially concerning to me is that many FPDs seem unaware that they are part of this dreaded group. You believe that there is only one “correct” way to dance. This is a myth created and promoted by FPDs. Real professional dancers allow the music being played to serve as the ultimate guide as to the manner in which they choose to dance. In my humble opinion, the reason many FPDs insist on dancing only in one style or timing is because they lack experience, (or interest), in listening to Latin music. If you don’t have a single Latin dance song in your personal music collection, or if you only listen to Latin music during your dance class or team practice, you will never be a truly great social dancer. The never-ending linear dance drama of “on 1” versus “on 2” would become obsolete if more people would take the time to study and listen to Latin music. It is interesting to note that the “1 vs. 2” debate does not exist amongst Cuban dancers who routinely shift back and forth between dancing ‘a-tiempo’ and ‘contra-tiempo’ within the bounds of a single Timba song. If you are more concerned with following “rules” than with following the music when you hit the social dance floor, you are probably on your way to being an FPD. Your moves don’t match your mouth. Not to be harsh, but if you’re going to walk like a Baller and talk like a Baller, then you better be a Baller. There is absolutely no shame in being a beginner or intermediate dancer. We all start our dance journey as beginners and many of us remain intermediate level dancers for most of our lives. What is shameful is holding yourself out as an advanced or elite dancer when you are clearly neither. I repeatedly encounter FPDs who have been dancing for a relatively short period of time, yet believe themselves to be superior to people who have been dancing for years. The source of this delusion can usually be traced back to rhetoric told or “sold” to them by their dance teacher, or from a desire to fit in with actual elite dancers of their local dance scene. A young female dancer who used to be part of my local Latin dance community was notorious for publicly pronouncing that none of the Leads in our dance community could “inspire or challenge her” on the dance floor. As this lady had only been dancing for about nine months and could barely make it through a cross body lead without stumbling, hearing her make these pompous statements was just a completely bizarre experience. This FPD would openly attempt to emulate the manner of a well- known international female dance star but lacked the technique, experience, and training to competently execute any of her dance idol’s moves. As a result, this clueless woman became an unleadable follow and claimed the number one spot on the local “DO NOT DANCE WITH THIS LADY EVER AGAIN” list compiled by experienced male leads. In the spirit of keeping it real, we can probably all agree that if you are truly an awesome dancer, many folks in the Latin dance community will give you a pass on having a wee bit of arrogance. However, if your dancing skills cannot back up your ego, you are not only making a fool of yourself, but you are alienating many of the people in your dance community who could help make you a better dancer. You are only able to have “successful” social dances with other dancers from your school or dance team. To me, this is a giant FPD red flag. 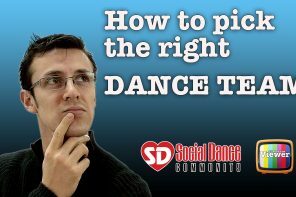 I received several responses from readers of my prior article who stated that they preferred to dance socially with people from their dance school or team because it was “just easier to dance” with these people. I’m not buying this excuse. 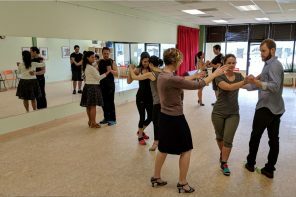 If you really know what you’re doing you should be able to have successful social dances with most people, no matter their dance style or background. I’ve noticed that truly great dancers aren’t scared of dancing with anyone. They seem to be stimulated from the exciting unpredictability of the social dance floor, and are not focused upon regurgitating classroom taught choreography onto unsuspecting social dancers. If your ability to dance well depends solely upon the presence of certain dance partners you are either lacking the confidence or skill, (or both), that actually great dancers possess. You always dance like someone is watching. One of the most addictive aspects of social dancing is the complete sense of freedom many people experience when they step onto a dance floor. The outside world temporarily melts away, and all that matters is connection to the music and to their various dance partners. However, for many FPDs the dance floor is not a carefree, transcendent space. Rather it is just a flat wooden surface upon which they seek to put on a show for anyone who may be watching. Sometimes you may experience a particularly “hot” social dance that makes everyone stop and watch. 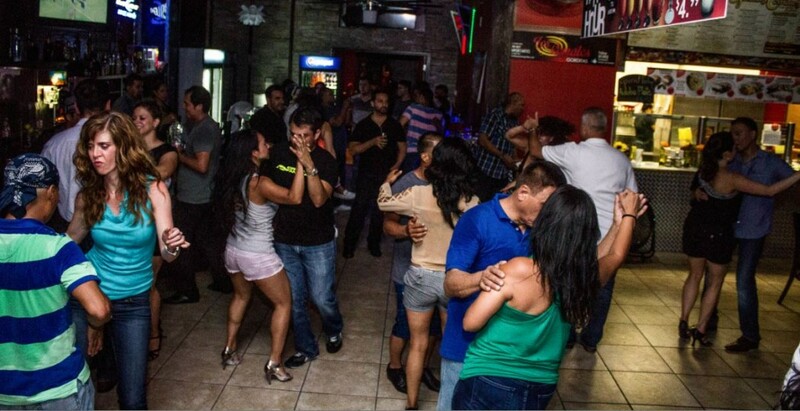 This is one of the fun and unexpected things that tends to happen on the Latin social dance floor. But – this spontaneous experience is completely different from the unnatural ‘performances’ that some FPDs feel compelled to create during every dance on the social dance floor. A little over a year ago I was dancing with a cocky FPD at a local dance event. This young man was actually a pretty decent dancer, but he possessed an attitude that almost had to be seen to be believed. Anyway – in the middle of our social dance this FPD dramatically broke away from me and began executing a lengthy, mega-exuberant, completely rehearsed shine pattern. This guy was so into whatever he was doing that I could have pretty much done anything, (like disappear, grow an extra head, or give birth to triplets on the dance floor), and he would never have noticed. However, while he wasn’t paying any attention to me, I noticed that he was constantly looking around to see who was watching him dance. When he seemed satisfied that he was being watched by a sufficient number of people he grabbed me and began spinning me every which way, ultimately ending the dance with a dramatic dip. At the end of the dance his friends all clapped and he walked from me without saying a word. Needless to say, (but I’ll say it anyway) – this was not an enjoyable social dance for me. Perhaps this is just a personal preference, but I would much rather have a simpler, less showy dance with a partner who cares about his connection to me and the music, than to have a dance with a partner who just wants to show off. Truly great dancers care more about the experience they are sharing with their partner rather than with creating “clips” for You Tube. You believe that only “trained” dancers belong on the social dance floor. This is an issue that was debated quite vigorously amongst some of the readers who responded to my earlier article. And, honestly, I can see both sides of this issue. On the one hand – the social dance floor belongs to absolutely everyone who wants to step foot upon it. But – on the other hand – it does seem beneficial to at least have an idea of how to do the basic step before you start bumping into everyone else on the dance floor. Just this past weekend, I experienced being enthusiastically dragged around the dance floor by a man who admittedly had never had a dance lesson in his life. While it wasn’t the highlight of my night, it wasn’t a big deal. It was a five minute experience with a very nice person who was, 1) nice enough to ask me to dance, and 2) who was having a lot of fun enjoying the music. At the root, when we strip away everything else, (“the 1 or the 2,” the designer dance shoes, the performance teams, etc.,) dancing at its core is simply a joyous expression of music. So – if we think about that way, the social dance floor should always be a place full of welcome. If this kind of thought is an intolerable one for you, you should think carefully about the kind of dancer, and the kind of person you want to be. In summary, I want to thank everyone who took the time to write to me or talk to me about my last article. I am no one special; I am just someone who loves to dance and who loves to write about dancing. Please feel free to continue sharing your thoughts with me as I learn something from each and every comment. What Annoys You the Most About "FPD"s? They perform and dance like "someone is watching"
My biggest pet peeve is the performing for others deal. I’m a man, but when I see other leads doing this I roll my eyes so intensely. I usually have my eyes on the lady, and she looks so bored and detached from the dance. The sad part is these fools are praised as amazing dancers, so I feel like I’m in the minority most of the time with this opinion. Thanks so much for your comment! Keep doing what you’re doing on the dance floor. You definitely sound like my kind of lead!! I’m not sure how much of your previous article has been mistaken to be targeting a different group than the group you are describing in this article because they are consistent. But from the list of the descriptions you described, the one I think is least destructive is “they only dance with certain dance school members or instructors”. Maybe because I prefer them to keep to their clique if they won’t be happy dancing with others, and that way others that are more open minded won’t have to encounter them as well. There is etiquette, but there is still the right to preference. Maybe they are in training and have limited dancing time and therefore needs to dance with partners they feel that can challenge them. It’s not the nicest community friendly attitude, but it’s still their prerogative. There are sometimes occasions or at the end of the night where I don’t have the energy to dance with new leads (a lot extra effort to adapt to new style), though I guess I leave pretty shortly after that mentality kicks in. I’m not sure I read this one, but a big red flag for me are the ones who want to “teach” you on the dance floor. I personally go to the socials to have fun and try to see how much I can follow, but these men I’m referring to would literally stop in the middle of the song to explain step by step what they want you to do. I do take the “teaching” since I’m in the process of learning, but I do believe that making it more enjoyable for all levels is the key, so FAUX PROS, LEARN TO DANCE AT THE PARTNERS LEVEL, not the other way around, so we can all keep going to the socials and actually have a good time. Good article. Thanks for sharing. And sometimes I’ll say “Everytime you spin, step back, and you’ll be on time again.” Just if they’re really struggling with the timing. But those are just real quick things and I never repeat them. Usually they help a LOT and I do some CBLs and turns to let them practice that stuff. Thanks so much for your comment Larissa! I totally agree with you! An additional item that fuels the FPD syndrome is the false sense of confidence that comes from being part of a performance/dance team. You have many beginner/intermediate level dancers who join these groups, do a couple performances and suddenly think they are god’s gift to dancing. Performing choreo on stage is a significant accomplishment, but it doesn’t translate into making someone a great social dancer. Excellent insight. Thanks so much for your comment! Performance teams are largely responsible for creating this epidemic of FPD’s. First the instructor brainwashes students into believing his way and is the only correct way and everyone else is doing it wrong. Second, these dancers get a big head because they made it on the “Pro” or “Semi-Pro” team. Just being on a dance team makes them celebrities at their dance school. The things that drains the fun out of dancing for me is the dancers – who may well be amazing however quite snobbish – the bored look or not trying when they realise you’re not up to their standard. I first learnt cuban salsa and the culture – although still has a few better than thou dancers – is generally really friendly, fun and forgiving! More about having fun and personal connections that are not just a dance connection – somehow its nice being a person worth someones time. I’ve since taken up on2 – in the absence of on1 training. I find that the community focusses more on sharp turns and great follow – which is great, unless you are learning (you’re worthless if you can’t at least do a triple spin). I guess it makes sense that advanced dancers have more fun with advanced dances. 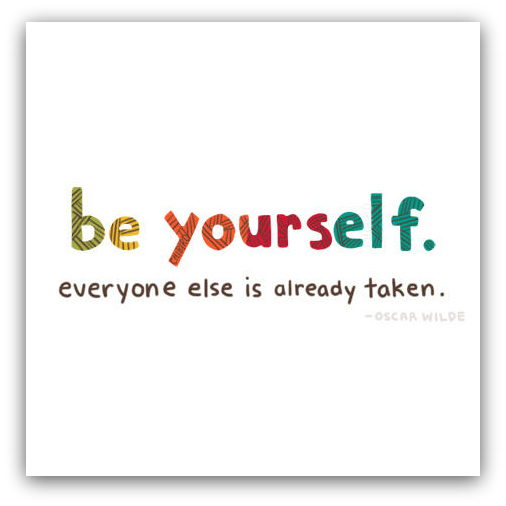 However, as a learner follow this is very frustrating – almost feeling unworthy to practice to get better. To the point that a performance team is now a must to improve! Something I’ll have to consider! Your comment is really interesting. I started out as a linear dancer and then began learning Cuban son and Casino about 4 years ago. I totally agree with your comment about the friendliness of the Cuban dance community. It’s just one of the things that makes that style of dance so attractive. Thanks so much for your comment and happy dancing!! I have been dancing for the past 1.5 years and as a dancer I feel (and its my opinion) that no matter how experienced or good a dancer is, there is always something to learn. A dancer can never say that he/she has mastered a particular dance style. I feel most of the FPDs out there believe that they have learnt everything about the dance, and no longer require to take beginners lessons or workshops. The moment a dancer says he/she has learnt everything, I feel the dancer stops growing better. Also a good lead will always adjust his dance depending upon the level of the follower. Even if I am in a dance team, I never attempt my choreography steps on followers who aren’t from my team. So when I am dancing with a beginner follower I never try to show off myself by doing complex sequences, but keep it simple by just doing basic spins and cross body leads. Actually every dancer who goes out to social dance should know that there is a difference between social dancing and performance dance. Awesome comment! One of the reasons I love my current dance teacher so much is because she too is a student. Even though my teacher has been dancing for over 20 years she realizes that there are still many things to learn, and thus, takes classes with her teacher whenever she travels home to Buenos Aires. Even though I have been dancing for about 8 years, I know that I’m only an intermediate level dancer. While there are some things that I know, there are a lot more things that I still need to learn. That quest for knowledge is one of the things that keeps me so interested in Latin dance. Thanks so much for reading this article and for your insightful comment. Happy Dancing! Great article! But reading it makes me want to go on a little rant here. So I’m relatively new to the social dancing scene and I’m of course taking classes. I don’t know if you’d classify them as FPDs but there are 2 girls in my class who do the following. At socials they don’t really dance with leads who are in our class or below. If on the occasion that they actually decide that they should grace one of us with a dance they usually half arse it. Essentially, they mostly take dances with obviously well advanced leads which is rather amusing to see because they back lead often and aren’t even on time when they do. Maybe it’s part of the half arsing but they do that even in practice. Regardless, I don’t think the leads in my class really enjoy when we have to practice with them anymore, not because of the back leading and what not, but really because of their attitude. We also don’t often bother attempting to ask them for a dance at socials either. It doesn’t affect them though as they do get asked often enough by the more advanced leads whom they actually bother to try and dance with. To counter their example. I remember taking up a dance with a magical lady who while being an obviously much better and experienced dancer than I was, still made the dance a really fun encounter for the both of us with her attitude and enthusiasm despite my comparatively limited abilities. It’s really such a stark contrast on enjoying the evening when you have people like those 2 girls or magical lady around. I firmly believe that even though you can’t perform fancy hammerlocks and copas or whatnot with your current partner (as either lead or follow). You can still have fun brightening someone’s night by providing the best dance you can. Those girls and dancers like them just really put a sour mood on anyone who has to interact with them doesn’t meet whatever weird standard they have. I agree with all of your points, but I always like to be more nuanced when I discuss the “dancing is only for people with training” problem. Personally, when I started dancing, my only lessons were the half-hour pre-social basics that were taught. Even now, I get most of my training in fits and starts when I attend congresses. So I’m certainly not one to say that to be on the dance floor, one needs to be taking classes at a studio. That said… there are certain problems that tend to be more common when you dance with someone who doesn’t take classes, and some of those problems are dance-dealbreakers for me. Specifically, people who haven’t taken some kind of lesson often don’t have the same sense of safety or etiquette as others have. That is to say, as a follow, they’re more likely to force turns that are awkward, painful, or dangerous, because they’re just trying to replicate what they see happening around them – without realizing that the turns take practice, finesse, and timing. Second, they’re more likely to ask for multiple dances in a row (a pet peeve of mine), and/or complain and be offended when you say, “We just danced! Come find me for another one later.” That, in addition to a million other little social dance etiquette issues. 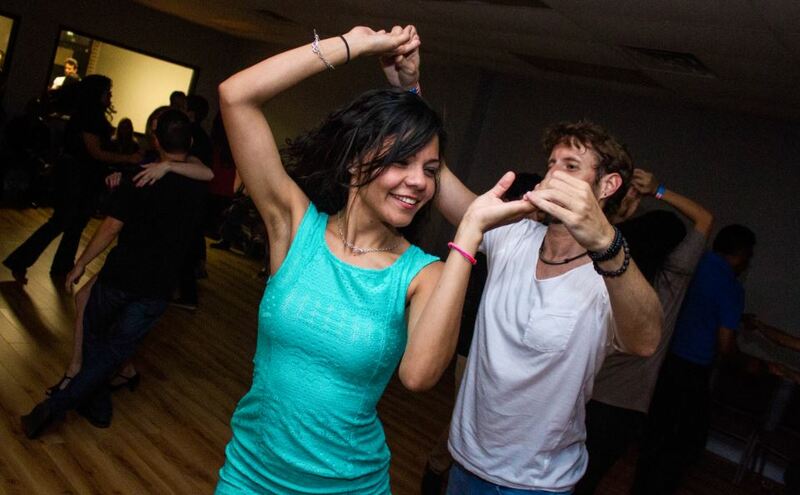 Here’s the thing: I’ve had lots of great dances with never-even-heard-salsa-music-before beginners, or people that grew up with the music but have never taken a formal class. I don’t knock it, and I don’t judge it – unless they give me a reason to! I have been dancing as a lead for about six years and have recently realised that the best followers are the ones that go everywhere and dance with everyone. At the bigger events in the UK there is often a large gathering of show dancers, teachers and groupies next to the Deejay booth.They believe their own hype that they are pretty hot and can give off an air of superiority which other dancers can often find intimidating. They usually don’t work the room or make themselves easily available, so if you want to dance with one of them you have to approach them via a circuitous route and then there is usually a little reluctant pause before they accept a dance. As I have become more experienced I have been rather surprised to discover that some of these specialist ladies are not really all they are cracked up to be, mainly I think because of a lack of practice The really good followers were the ones who I was actually dancing with already, ie the ordinary folk who who make up most of the dance floor, who enjoy a good night out and who have built up a considerable experience from dancing with everyone.